Sky Living has pranked London estate agents with a haunted house ahead of the release of new horror show The Enfield Haunting on May 3. They set up cameras and a load of trickery, plus an actress to play an old lady looking to sell her deceased brother’s home, to scare real-life Enfield estate agents. Needless to say, the trick worked, and the video footage is rather entertaining. Spooked by taps turning on and off, cupboards opening abruptly, and all kinds of objects falling over in their presence; the estate agents are initially skeptic before screaming and running from the property. 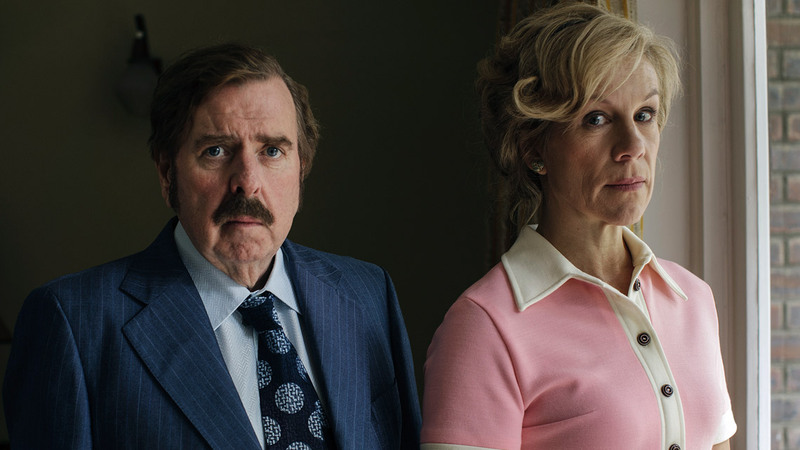 The Enfield Haunting is a television re-telling of real life events in Enfield which gripped the nation in 1977. It stars acting legend Timothy Spall OBE as a paranormal researcher drawn to the house after hearing of the alleged poltergeist activity. Juliet Stevenson CBE will play his wife and Matthew Macfayden will play an experienced investigator. Joshua St. Johnson (The Killing) will direct.